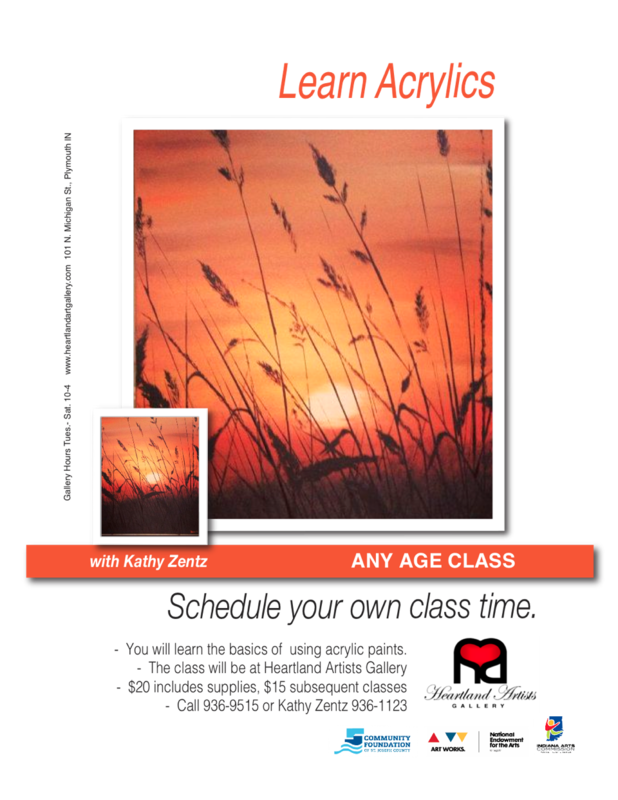 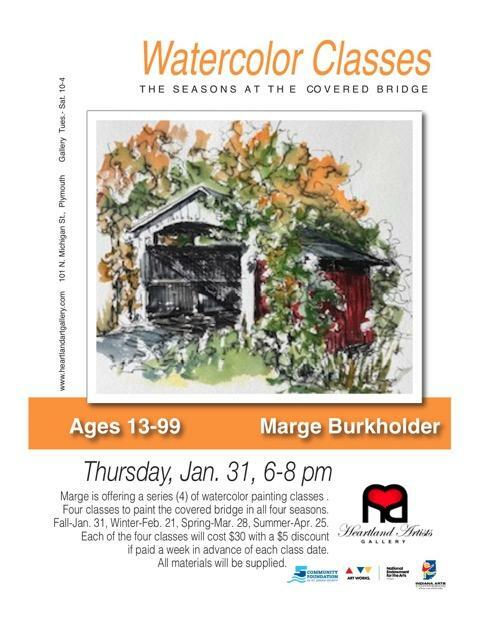 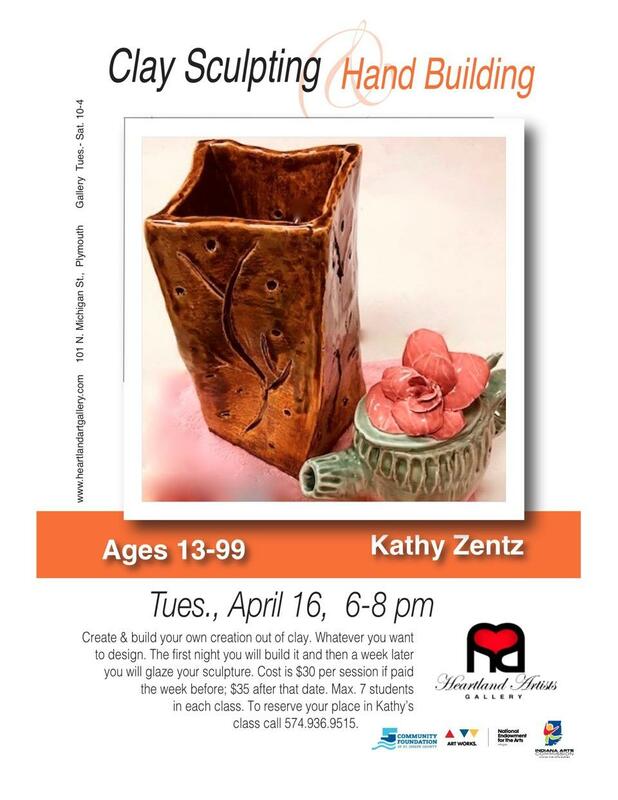 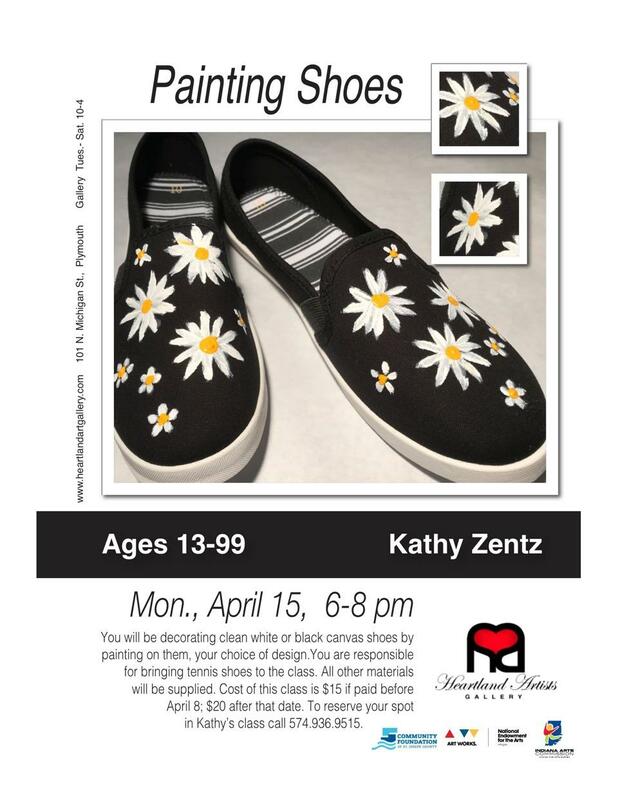 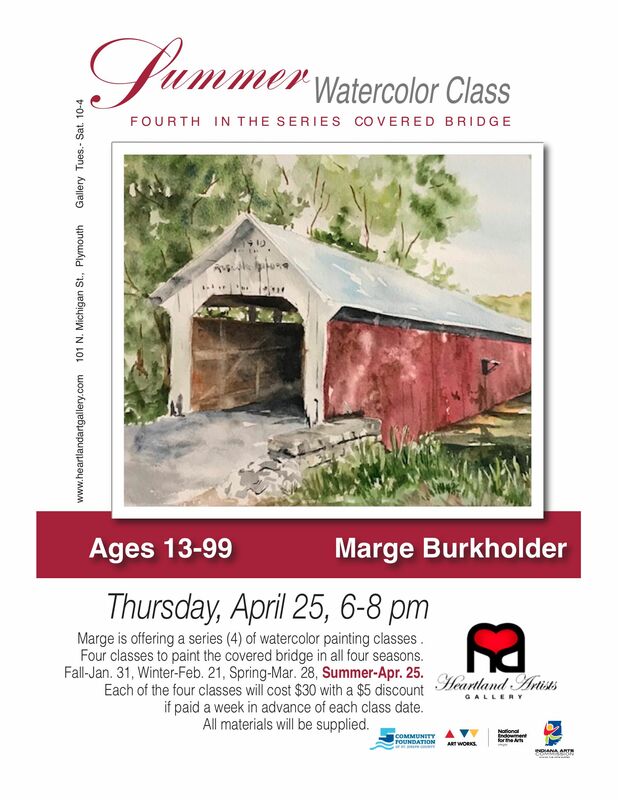 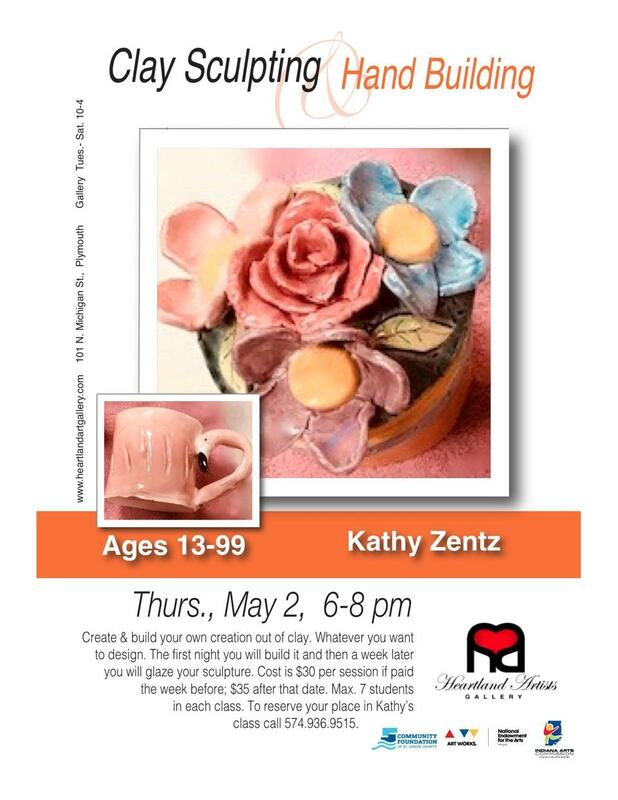 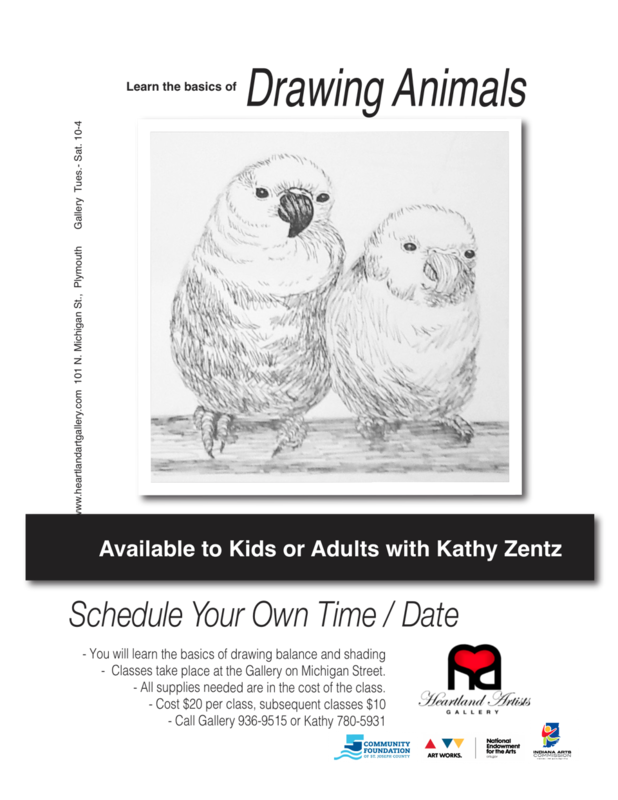 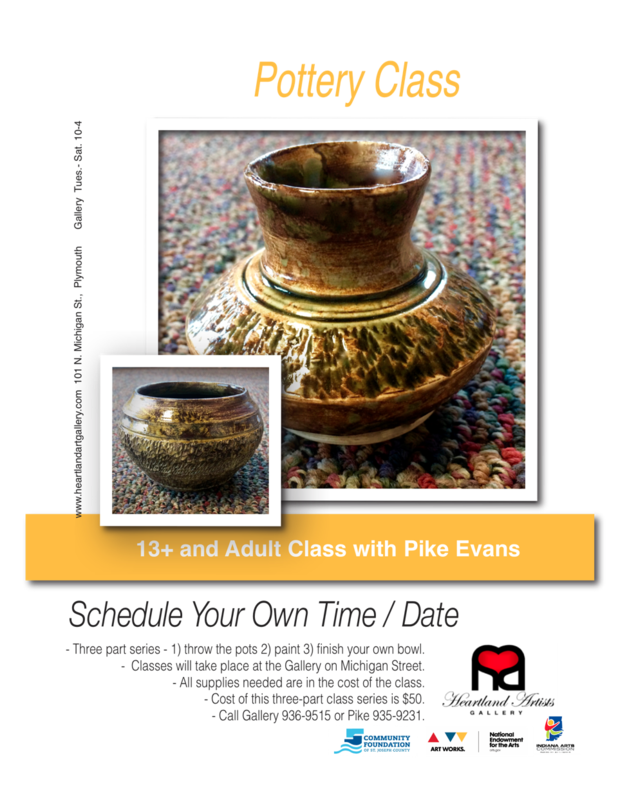 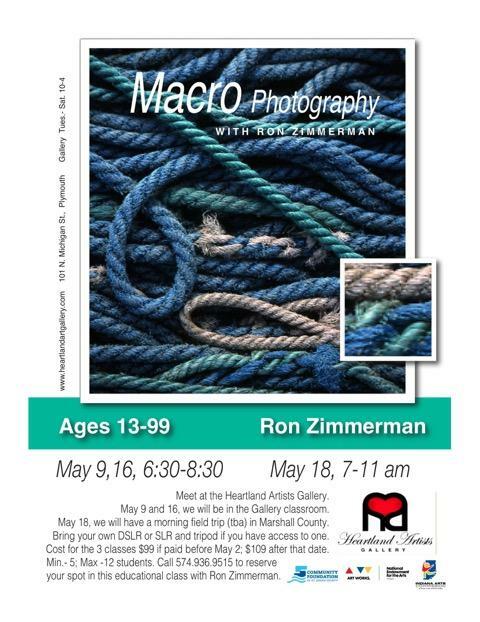 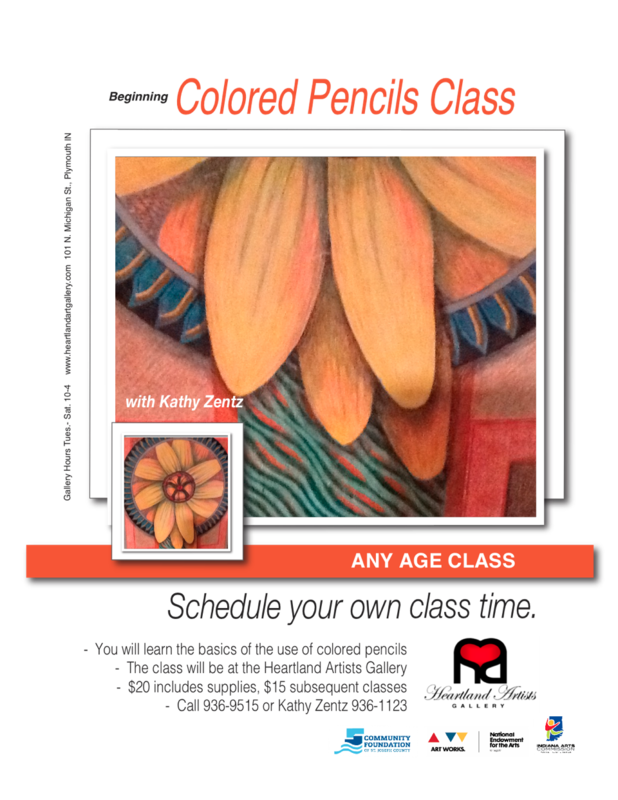 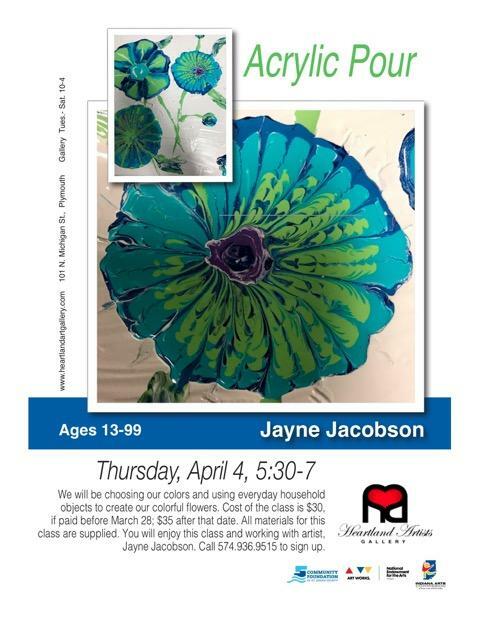 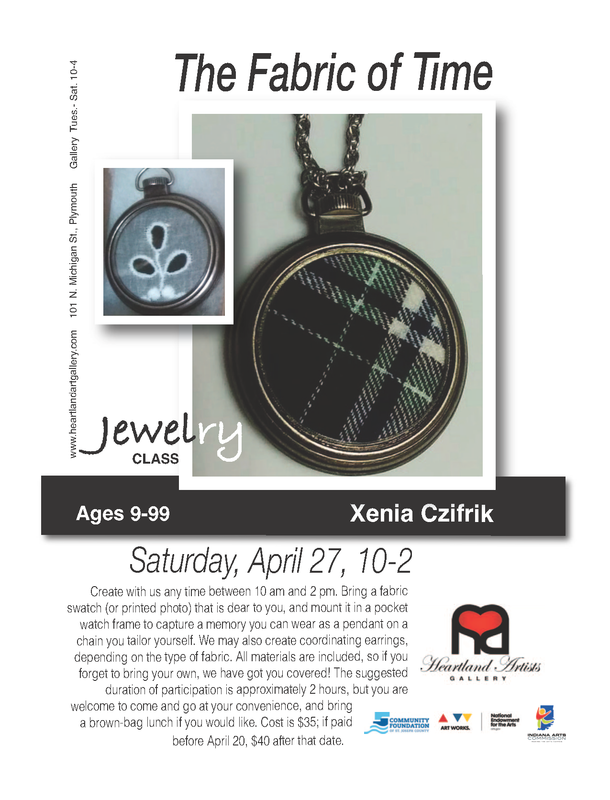 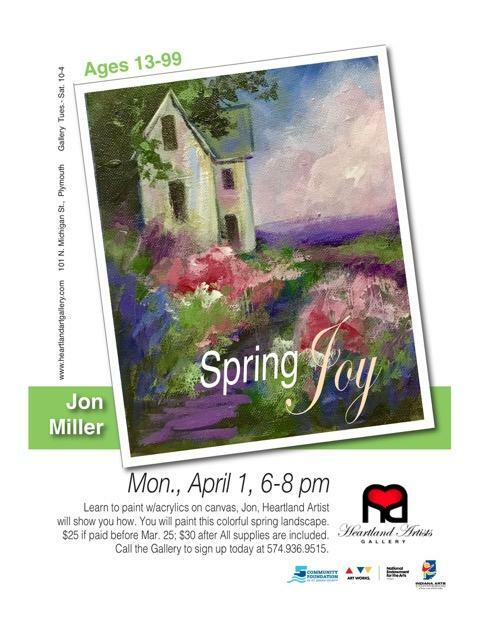 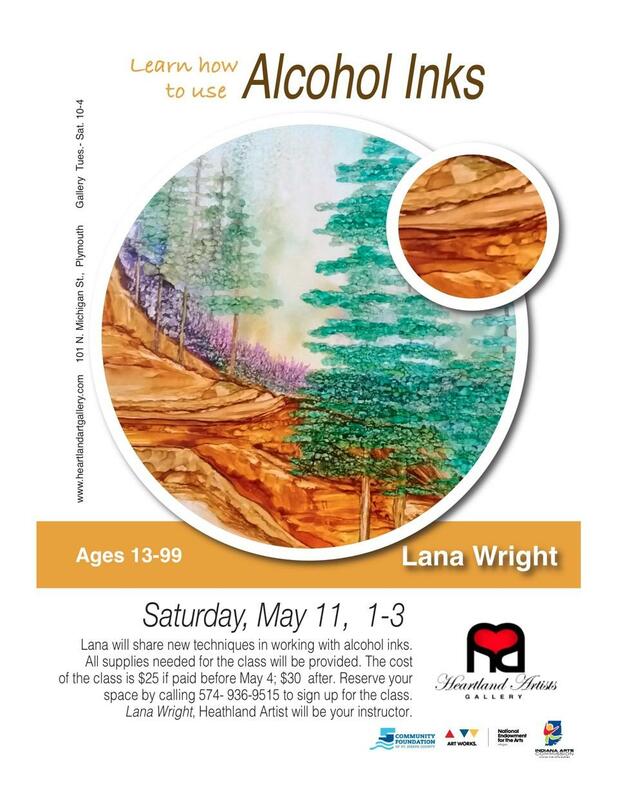 Classes will be held at the Heartland Artists Gallery – 101 N. Michigan Street, Plymouth, unless otherwise noted. 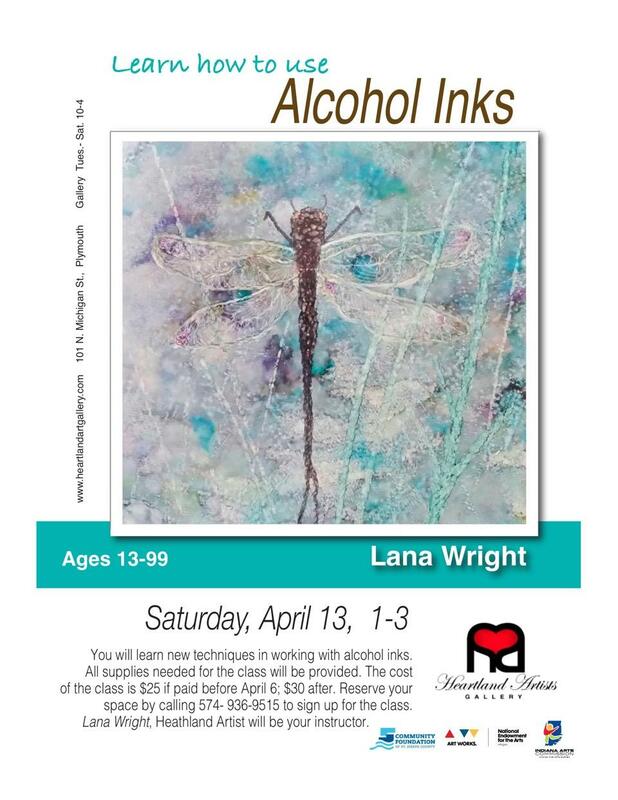 For more information or to register, Contact Us or call 574-936-9515. 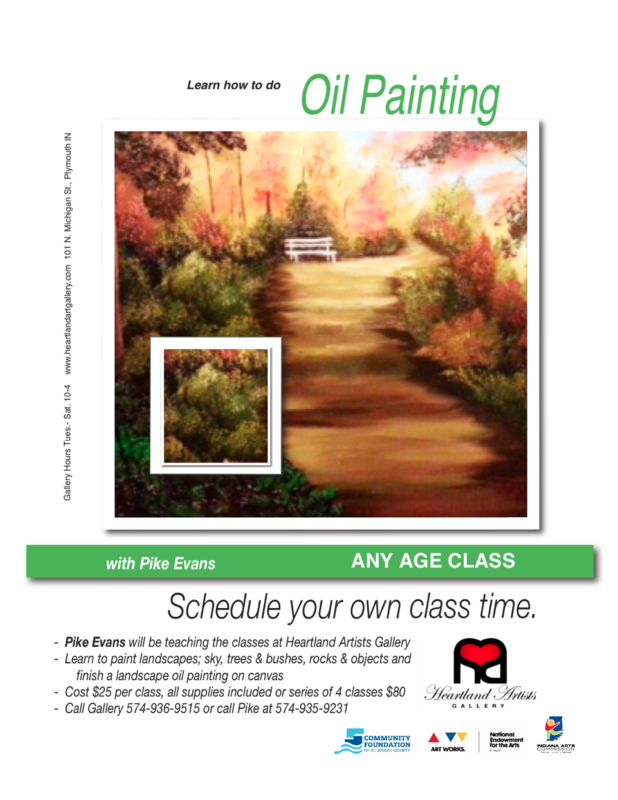 NOTE: This is a re-scheduled class. 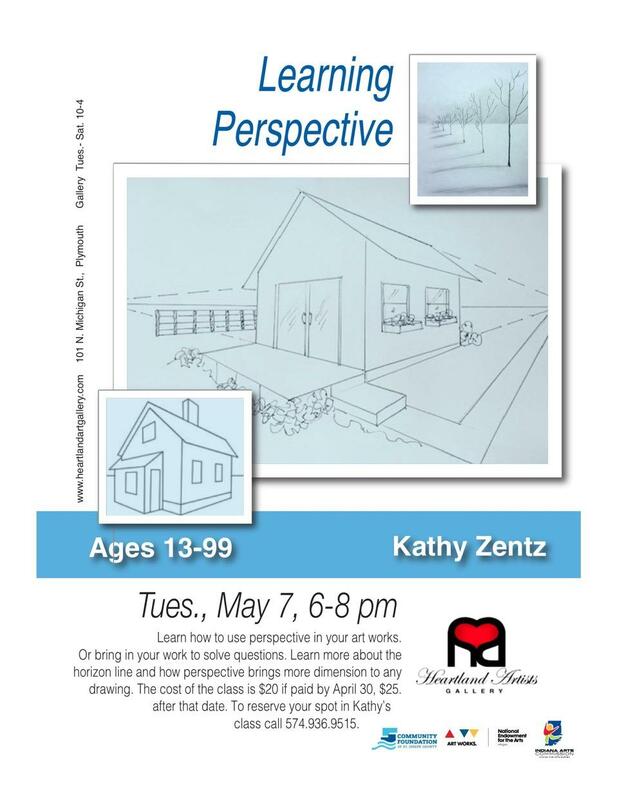 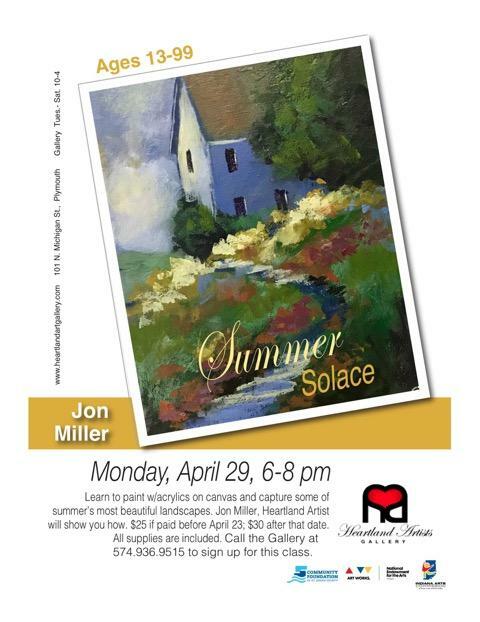 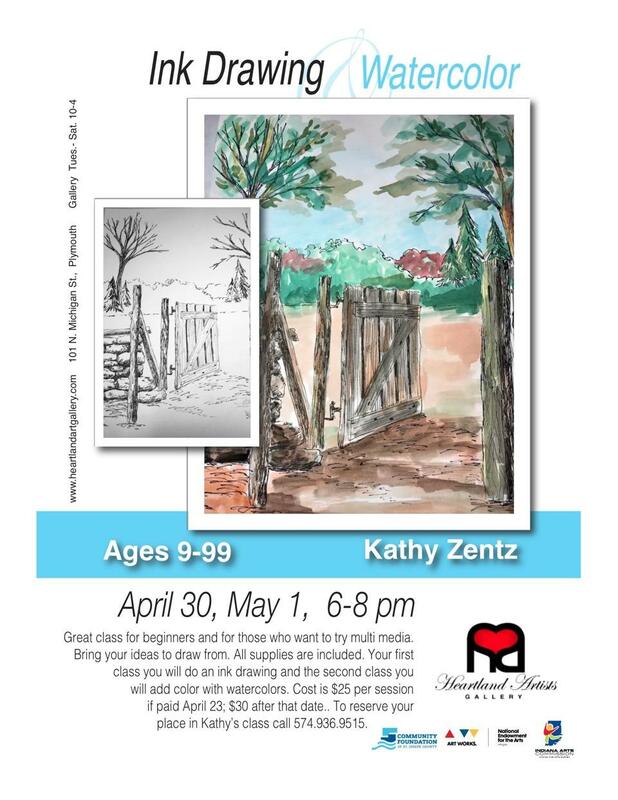 The new date is set for Thursday, May 30th, from 6-8 PM.